I look back on my life with great joy. I think it was a very successful life. I always did what I wanted and never cared what anyone thought. 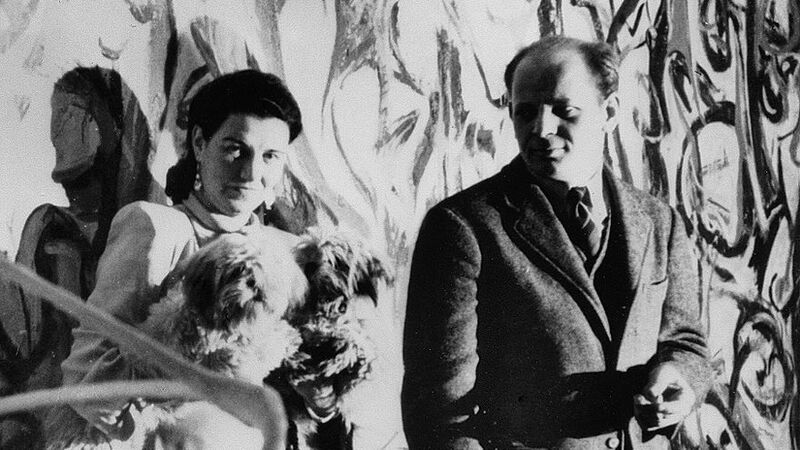 “Had her private life been less colorful, would what she did for art seem less interesting?“ Anton Gill, the biographer of Peggy Guggenheim, asked this question while talking about one of the most distinctive characters of the 20th century art world. Indeed she was a unique person. Peggy ran away from high-end life in New York but used her money to collect works of modern art around the globe. She supported young and unknown artists, slept with almost all of them, smuggled her art collection during the World War II, opened museums, she spent most of her life between getting married, and getting divorced… Pretty much, she did what she wanted and what she felt was right – and that, right there, may just be one of the things that made her as intriguing and admirable. Peggy Guggenheim, or just Peggy, was born in New York City in 1898. At the age of 22, she inherited a vast fortune from her father who went down with Titanic in 1912. Through her cousin, Harold Loeb, the founding editor of Broom, a writer and an important figure in the Paris expatriates in the 1920s, she got introduced to modern art and to some of the members of a “lost generation” of American artists who immigrated to Paris. One of them, a photographer Alfred Stieglitz, introduced her to Picasso, Cezanne, and Matisse. Later, Peggy visited Europe and fell in love with Paris which became her second home for the next two decades. In Paris, she met her first husband, Laurence Vail, a French writer and artist. Together, they engaged in Paris’s avant-garde writers and artists circles and became close with Djuna Barnes, Constantin Brancusi, and Marcel Duchamp and more. Duchamp, in fact, influenced Peggy’s art taste and, to a high degree, shaped her future interests and preferences. The year 1938 was the year when Guggenheim made some resounding decisions. At that moment 40 years old, she needed a new perspective, new purpose. Her life was filled with failures. Her sister died during childbirth, her daughter committed suicide, she was brokenhearted over the British literary critic and writer John Ferrar Holmes, her lover at that time, who died during a minor operation. It seemed that Peggy did not have anything more to lose. Hence, it seemed logical to lend a helping hand to her friends, unknown yet talented young artists. Inspired by the unprecedented surrealism exhibition at the New Burlington Galleries in London, she decided to open a gallery. Thriving to that achievement, Duchamp was virtually her mentor, giving her insight to modern art and assisting her in her future ventures. Having plenty of time and all the museum’s funds at my disposal, I put myself on a regime to buy one picture a day. Peggy’s first gallery, Guggenheim Jeune – named after Bernheim-Jeune gallery, one of the oldest gallery in Paris – was opened on 24 January 1938 with Jean Cocteau’s drawings exhibition. Soon after, Guggenheim hosted shows of other artists, such as Wassily Kandinsky, Henry Moore, Hans Arp, Alexander Calder, and Anton Pevsner. She also helped organize group exhibitions of sculpture and collage, including now the legendary names like Picasso, Brancusi, and Braque. Regardless of the gallery’s success, Guggenheim wasn’t satisfied with the financial aspect of the project. Also, she quickly grew tired of some artists, so the next adventure to do was to wander to other, more exciting artists, options and prospects. Soon after, a new idea stumbled upon her mind: the opening of a museum for contemporary arts in London. This idea was even more ambitious. Peggy wanted to organize her new museum on historical principles. Herbert Read, the art critic, was assigned to draw up a wishlist of the artists that he thought should be included. Guggenheim had a mission to find their works and acquire them. To achieve that mission she fled to Paris with Read’s list. The outbreak of World War II killed her conception of having a museum in London, so she eventually returned to the United States. Nevertheless, before retreating to New York, Peggy had decided to buy as many pieces as possible, going on an uncanny “a picture a day” shopping spree. 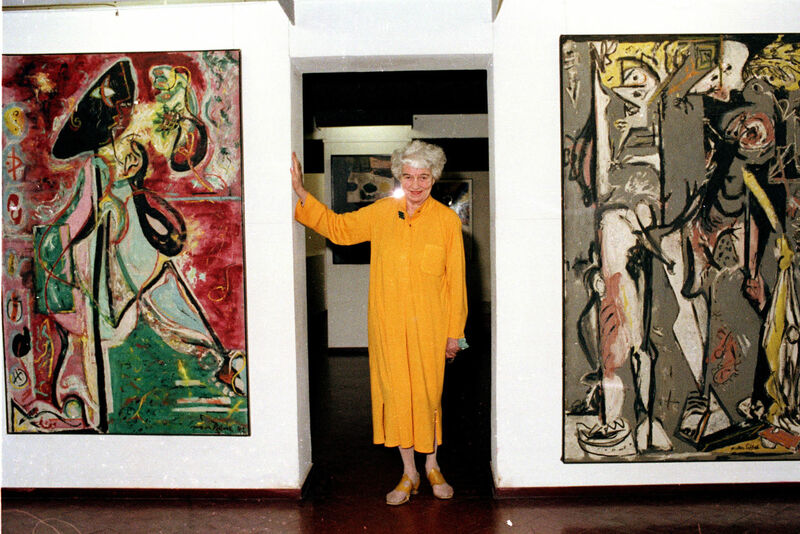 It all resulted in opening a museum-gallery in Manhattan, called “Art of This Century” where Peggy Guggenheim exhibited all her Cubist, Surrealist, and Abstract art acquisitions. This exhibition room was where some young American artists, such as Jackson Pollock and William Congdon set their careers off, but it also distinguished the likes of Wolfgang Paalen, Ada Verdun Howell and Max Ernst, the German painter whom Guggenheim married in December 1941. Women’s lib? I was a liberated woman long before there was a name for it. Peggy’s college education, her rascal lifestyle, and an openly promiscuous manner were a subject of constant gossip, blather and judgment. Even so, Peggy didn’t mind much. For much of her life, she was very uninhibited in her choices and enjoyed them to the fullest. She had encounters with Samuel Beckett, Yves Tanguy, John Cage, and Marcel Duchamp, to name a few. The New York elite never accepted her. After World War II had ended, it seemed like it was time to return to Europe. Venice welcomed Peggy Guggenheim in a much more civilized manner than New York. She settled on the eastern stretch of the Grand Canal where she purchased a vast, one-story-high palazzo where she spent the remaining 30 years of her life. In 1948 Guggenheim was invited to exhibit her collection at the 24th Venice Biennale. It was Europe’s first encounter with American Abstract Expressionism. Ultimately, it turned out that her collection exhibition in the Greek Pavilion was the main attraction of the entire event. In 1951, inspired by this huge success, Peggy made her house and her collection open to the public every summer. Additionally, her years in London, Paris and New York brought an envious group of friends. Stravinsky, Gore Vidal, and Cocteau are merely some of the well-known personas that she welcomed to her salon. In Venice, she felt free and became known as l’ultima dogaressa, or the last female doge, always accompanied by her beloved Lhasa Apsos, wherever she went. She died on September 23, 1979, and her ashes were buried in the corner of her Palazzo garden. She donated her palace and her collection to the Solomon Guggenheim Foundation, which was founded by her uncle years before. Regardless of her lifestyle that wasn’t on par with the expected norm of the time, denying Peggy Guggenheim’s immense contribution to the modern art would be unjust. The outline of the 20th-century art scene would have been immensely different and, most likely, deprived of many of the 20th century canonical artists and their works. She was a free and fearless woman, a visionary art collector and devoted art patron who knew to ask the right questions and to recognize the future masterpieces and show to the world at large. Peggy Guggenheim, herself, was a work of art, no less. This entry was posted in Art World, Discover and tagged art collector, art gallery, Art of This Century, art patron, Guggenheim Jeune, Paris avant garde, Peggy Guggenheim. Bookmark the permalink.